No matter how much Russian literature I read—in English translation, of course—and no matter who the translator happens to be, I am left with the nagging suspicion that there is something essential about Russian literature and culture that I don't fully 'get.' The reactions and behavior of these characters and the social milieux they inhabit are mostly familiar, I suppose, but they are also haunted around the edges by an irreducible strangeness which no particular translation and no generosity of footnotes will ever make fully intelligible to the non-Russian. And I would be lying if I told you that this elusiveness isn't part of this literature's appeal. Anton Chekhov is no different from his marquee name compatriots Dostoevsky and Tolstoy in this respect. The several short stories and two novellas in this Edmund Wilson-curated collection point to sociocultural questions about Russian life at the end of the 19th century and the very beginning of the 20th century that Chekhov, of course, takes for granted. 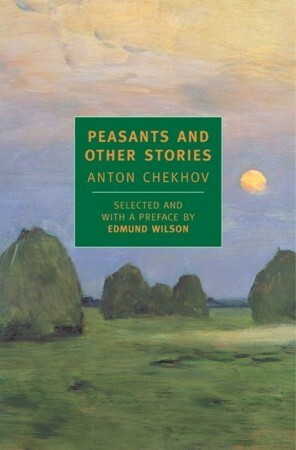 This, in fact, is the distinction of this collection, as Wilson points out in his brief introduction; these late stories of Chekhov, all relatively bleak, speak of the greater social problems of Russian life at this unique moment of transformation. And make no mistake: Chekhov harbors no illusions about the future; his prognosis for Russian society is hardly optimistic and offers few consolations to its victims. A stubbornly backward, underdeveloped empire has been delivered into the 20th century greatly handicapped by its cultural immensity and diffusion, its recalcitrance in the face of 'progress,' and the tragic collisions between the old and the new. In this collection of stories, translated by Constance Garnett, Chekhov illustrates these 'challenges' (this word feels like a banal euphemism here) with sadness and, occasionally, with bitterness—but never with garish sentimentality. In the story 'In the Ravine,' for example, a vulgar, well-to-do family of the developing merchant class live in a typically wretched Russian village, making money off the peasantry through black market sales, while bribing the powers-that-be; the unscrupulous son of the family takes a poor peasant girl as his wife, simply because of her beauty. The misery that's heaped upon this girl at the hands of this miserable family is nearly unbearable to read, and yet she takes this cruelty almost as a matter of course. Her equanimity is disturbing, in fact, to this reader. This is part of the inscrutability of Russian literature for me. Characters often don't act in ways you'd expect—or, more accurately, in ways you'd want them to. Their resignation to or acquiescence in their fate sometimes seems hopeless—and yet very real. I think it's wrong to assume that stories like these were the norm of Russian life at the time, but they certainly highlight the unique circumstances of fin de siècle Russia—a nation which seems always to be the exception to every known rule. Chekhov makes me wish I knew Russian, because I'd love to read him in his own language. I wonder if he's capable with prose of the same accomplishments he made with character and structure, of the very essential sense of story, that draws me to him. Still, every decent translation shares those qualities, so I can safely assume they're original to his work, and this is why I love Chekhov. Who else can get away with the kind of meandering organicism, the almost digressive sense of plot, that Chekhov uses? Who else can start a story in one perspective and shift seemingly at random, as though subconciously, to another perspective, even an entirely different narrative voice, and slip it past us so smoothly we barely notice and easily forgive it? Who else makes us eager for the shift? Who else can drop the end of the story--often no end at all--like a punch in the gut and makes us crave more of the same? Maybe Dan Chaon. Maybe Debra Monroe. Maybe. But no one can do it as beautifully--as spiritually--as Chekhov, and these stories are a delight, a kind of masters class in his range and his beauty. What may I speak in honor of great Anton Chekhov? What dreadfulness it is to be poor, is something that could easily be learned from the peasants. Apparently his prose has it's ultimate effect, the plots and the way of expressing is just mind boggling. Yet many might argue that, it was translated but, in my perspective the genuine is always better. Indubitably the translator hadn't added something from his own side to the book. Whether in Russian or any other language, even a translation cannot outdo the genuine work. Hats off! Este libro es hermoso. Con algunos cuentos estuve apunto de llorar y sin embargo, también me reí. Otros cuentos simplemente me divirtieron muchísimo. Es una delicia leer a Chéjov. The most famous story here is "The Peasants" about a Moscow waiter named Nikolai who, in old age, loses his health an job and thus must move with his wife back to the very small village of huts where others of his family live. Village peasant life was stark, harsh, grim, a struggle living, with nearby some beautiful scenes and churches. Moscow was the longed-for "Mecca" which seems to hold glorious promise if only they could be admitted to work there. The deplorable conditions of these uneducated peasants is described superbly by Chekhov. These peasants "lived worse than cattle, and it was terrible to live with them; they were coarse, filth, dishonest, and drunken; they did not live together in peace, but continually quarreled, because they did not respect but feared and suspected one another. Who keeps the pothouse and makes drunkards of the people? The peasant." And so it continues, all woes caused by the peasants. One example is their feelings about death, described in part as:- "Only the rich peasants feared death; the richer they grew the less they believed in God and in the salvation of the soul.... The poorer peasants had no fear of death. The old man and Granny were told to their faces that they had lived too long, that it was time for them to die, and they did not mind.... They had no fear of death, but had an exaggerated terror of all sickness." My copy of this collection has 20 stories, a tale "The Peasants" being the best known. Other stories all I've read: The Confession, He Understood, At Sea: A Sailor's Story, A Nincompoop, Surgery, Ninochka, A Cure for Drinking, The Darling, The Jailer Jailed, The Dance Pianist, the Milksop, Marriage in 10 or 15 years, In Spring, Agafya, the Kiss (I'd previously read), The Father, In Exile, The House with the Mansard- An Artist's Story, and the longest of these tales(90 p.) 'Three Years' which I found a rather tedious three years of a disfunctional wealthy business family going nowhere yet the protagonists suffering unhappily.My paperback is falling apart, literally, yet I've now read them all, so it goes in the dust bin! Ahh, excellent, excellent. Chekhov's stories are all incredibly atmospheric and engrossing, which is great when you're on the train- nothing like being distracted from public transportation by the grim portrayal of peasant life in late 19th-century Russia. But seriously, he creates some amazing stories in such a short frame. One of the things I enjoy about short stories is to say so much while not using that many words. My personal favourite story was "The Duel," and if you can only read one of these stories, read that one- it's a little longer, but it's worth it. One of the reasons I love the old Russian novelists so much is their ability to reach into the human psyche, and this was no different. An NYRB curio. I have no argument with Chekhov's stories, they are wonderful and should be read by all. However, those collected in this volume are the Garnett translations--a good starting place, but certainly not definitive. There is also a throwaway introduction by Edmund Wilson, of all people, delineating what is perhaps the least interesting thing about Chekhov: the social background and class of his characters. The NYRB has rendered innumerable services to literature by reprinting out-of-print works and drawing fresh attention to forgotten authors. With so many excellent Chekhov anthologies on the market, I fail to see the necessity of this volume. Interesting look at various classes of Russian society around the turn of the 19th/20th century. I like how he made an effort to develop stories that featured the lives of peasants and working classes. So much of Russian writing involves characters who are nobility or functionaries, this collection wove stories around the other segments of society.I found the writing to be typical of Russian authors, every dense and the story concluding with a moral ending, and not necessarily a happy one. I only have two stories left, but I don't know if I can finish this book. It is far too depressing. When I got to the part where a jealous woman murders the newborn of another women by pouring scalding water over it, I had had enough. I'm not sure the translation I read was that good. It was done by Constance Garnett. I'm beginning to fully appreciate the translator's contribution. I wonder if there is anyone who rates translators. I'm sure I'm supposed to rate this higher because it's Chekhov... I read 4 stories from the collection for a discussion group. Somewhat interesting, I understand the importance, and done. Breve cuento que nos lanza a la cruda realidad de la miseria. Some of these were amazing, but a couple of them were slow and wandering.